I recently purchased six bottles of a well-known red wine from the Rhone region. As a learning experiment to expand my wine knowledge, I plan to drink one every two years while keeping meticulous notes on how it ages. I’ll drink one in 2012, 2014, 2016, 2018, 2020, and 2022. By doing this, I’ll learn how wine matures and improves throughout its life. I look forward to observing the tannins mellow with time, the fruit transform with age, as bigger, earthier flavors come to the fore. Years from now I’ll know more about when a wine peaks, and the subtle clues it expresses when its time has come. Below I will add my tasting notes next to the date the bottle was opened. Monday: The first bottle of my twelve year test. What a delicious wine! It sports a deep ruby color with sweet tannins. One of the most notable traits is its powerful flavors of ripe, red cherries. For a wine meant to age in the cellar, it sure is drinking well now. I love this wine. Tuesday: After yesterday’s tasting I just had to open a second bottle. With only four more I’ll have to forgo the last bottle scheduled for 2022. Still loving those ripe, red cherries! How can these tannins be so strong yet so sweet? What a wine! Wednesday: The ripe, red cherries are still there. No discernable difference in the tannins after just three days. This leaves me with only three bottles to last twelve years. I’ll wait three years between them instead of two–that way I can still see how the last bottle will drink in 2021. I will open NO MORE of this wine until another three years passes! Friday: I just opened one of the two remaining bottles. I’m starting to doubt the success of this experiment. When I finally open the last bottle in 2022 I’ll remember the ripe, red cherries and the sweet tannins. Saturday: I just finished the last bottle. 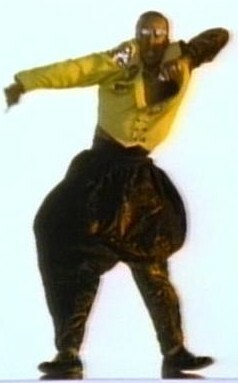 In six days I squandered my entire stash of wine as if I were channeling MC Hammer. If in 2022 I ever hear someone talking about this vintage, I’ll tell them about the ripe, red cherries and the strong yet sweet tannins. Francois Chidaine “Clos Habert” Montlouis Sur Loire ($22.99): Made from the Chenin Blanc grape, this is a white that ages beautifully. Just when you think it tastes too sweet, the acidity slices through, ending the floral flavors and leaves you wanting another sip. I dare you to pick up a bottle. Better yet, pick up six and spread them out over a few years. This entry was posted on Tuesday, November 29th, 2011 at 7:50 pm and is filed under Chenin Blanc. You can follow any responses to this entry through the RSS 2.0 feed. You can leave a response, or trackback from your own site.